There have been many creations that humanity has made which have severely damaged the earth. 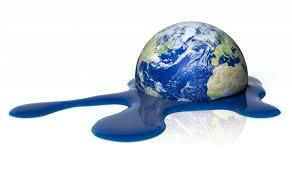 Global warming has been an ongoing problem that will affect our future generations. Many people have not succumb to the idea of the earth temperature rising and simply dismiss the matter. There are people who want people to know about the harmful affect global warming can have on our earth such as Al Gore. Gore has been travelling across America presenting his audiences on how to prevent global warming from happening. Many companies are now switching to renewable energy and gas economy technology. Notable companies such as tesla makes cars that run on electricity. More solar panels are being deployed in every country. Many countries are also making technology to make renewable energy such as wind turbines, water turbines and solar panels. Many communities in northern California are running out of water and it’s causing a big problem. Water provides us with food and jobs. Water is the most important resource to us, which has been decreasing. Global warming can make water scarce, harm ecosystems, climate change and severe weather. A huge problem is the rising sea levels. The major factor of the sea levels are the icecaps. Weather in the glaciers have been increasing making the icebergs melt. Since the 2000’s many icebergs have decreased in size or even disappear. The rising sea level has contributed to many tsunamis and the spreading of diseases. If people continue to put aside global warming, the future generation will live in a time where water might be rare. In Santa Barbara there was a lake we would often go to. That was four years ago, now the lake is completely gone. This being said, I suggest you as the President should not only prioritize this matter but make it a global responsibility for everyone. If we don’t have water, we wouldn’t be able to grow crops and be hydrated. Global warming can affect every community in California harshly. Almost every county in California contributes greatly to growing fruits and vegetables. My county, Santa Barbara is a very agricultural county. I live in Santa Maria which grows and transports a lot of strawberries and many other crops. President, California thrives off its rich agriculture and this Californian agriculture demands water. Also there can be other countries, cities, counties, and communities all around the world that need water for crops and drinking. So for awhile, put aside the politics and focus on global warming, which will harm everyone on earth if nothing is done. The Earth can be saved by Eliezer is licensed under a Creative Commons Attribution-ShareAlike 4.0 International License. I think you did an awesome job! These issues definitely stand out as major problems during these present times, and I think you presented the argument in a smart and informative way. Great job!